Santa has many helpers but these little penguins will keep you nice an warm. New easier piecing techniques, which is great for the beginner. 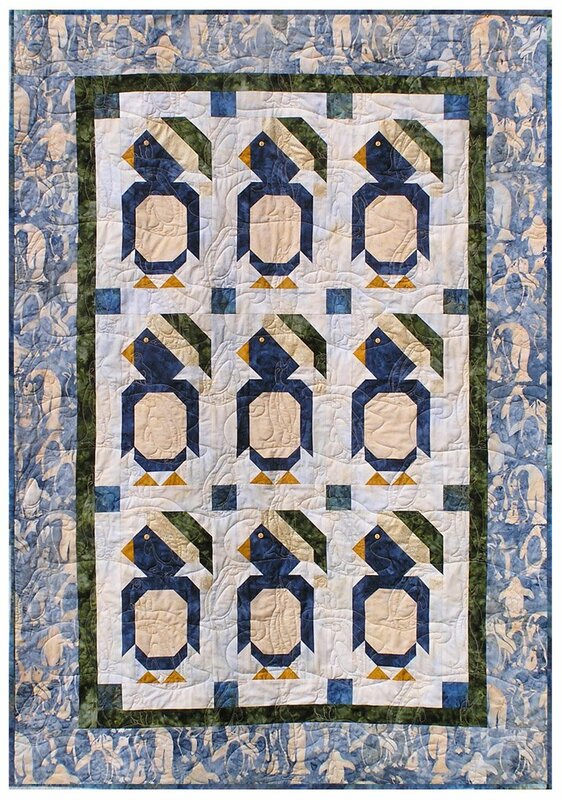 Can be used as a lap quilt or wall hanging. Finished size: 42" x 60".